Hello. I wanted to take a few minutes to share with you some of my creations I have made using stamps. 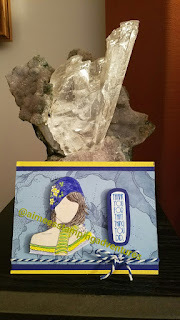 I truly hope that what is here inspires you to create as well. Christmas Card for Boyfriend made last December. Fun card to send to one of best friends to make her smile and laugh. 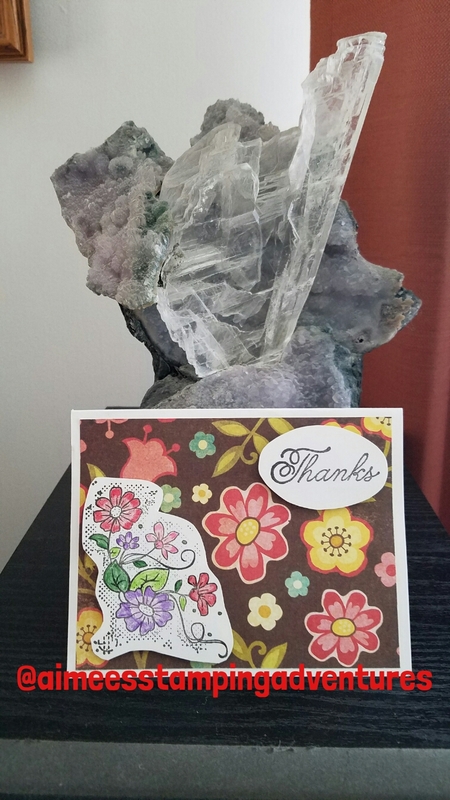 Made this card for friends daughters college graduation. I colored to look like how she did in photo. 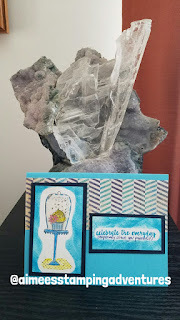 Made this card for a photo inspired challenge. Love how it came out. A2 Size. 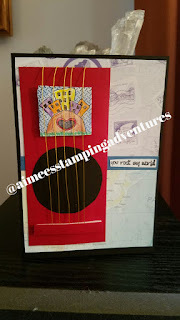 I used pop up dots on the girl and the sentiment and tied some string around for added color. Made Dog card for my boyfriend. He had a dog name Louie before him and I met and I thought it would make him smile. 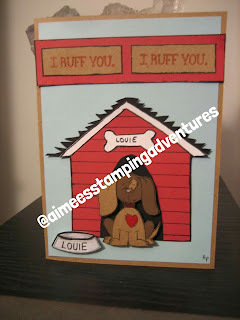 The doghouse, and dog was a stamp that I used and decided to turn into a paper piecing. The bowl I drew out as well. One of my favorite cards made. Thought this was cute. Hand drew out the tree and make it look like it was carved into. 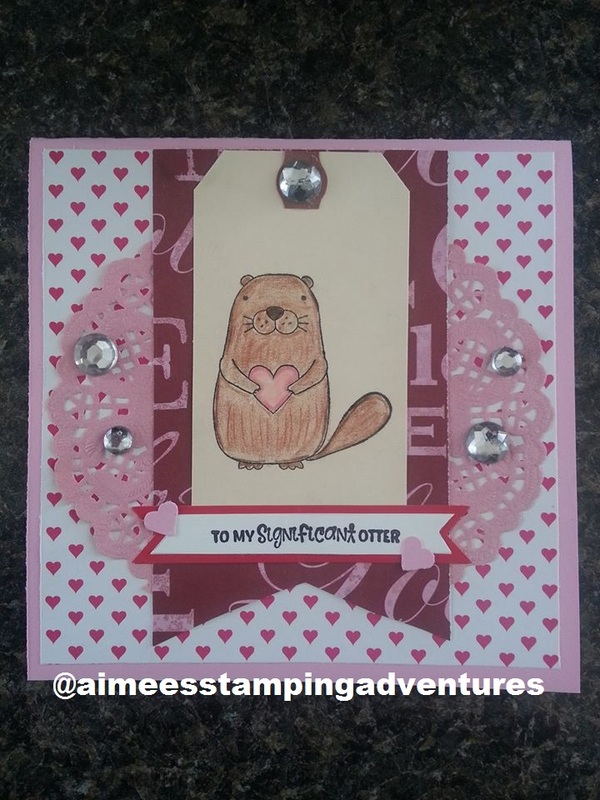 I used pop up dots on the otter. I made this for my boyfriend for Valentines Day. 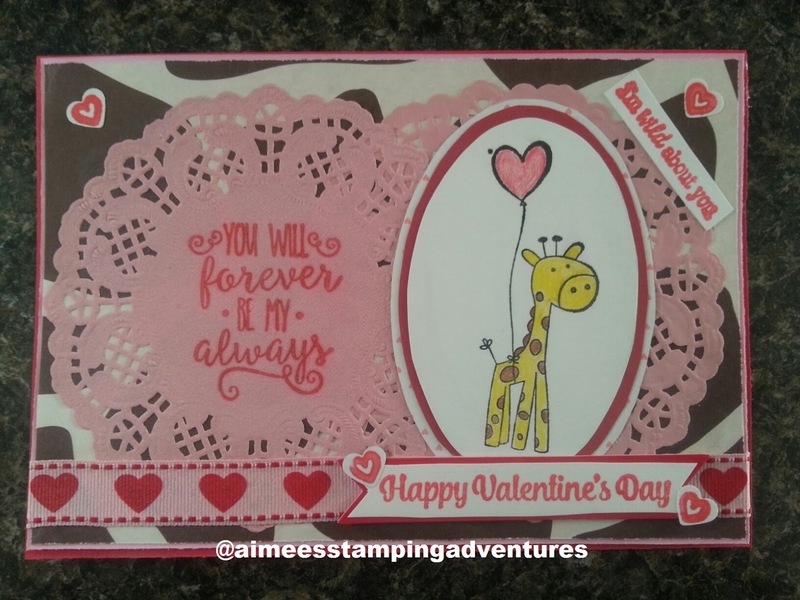 I thought since it was a giraffe stamp set I was using I would use giraffe paper for part of the background. 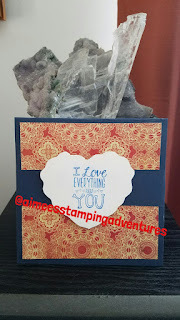 I used two paper doilies and stamped sentiment on one of them in red. 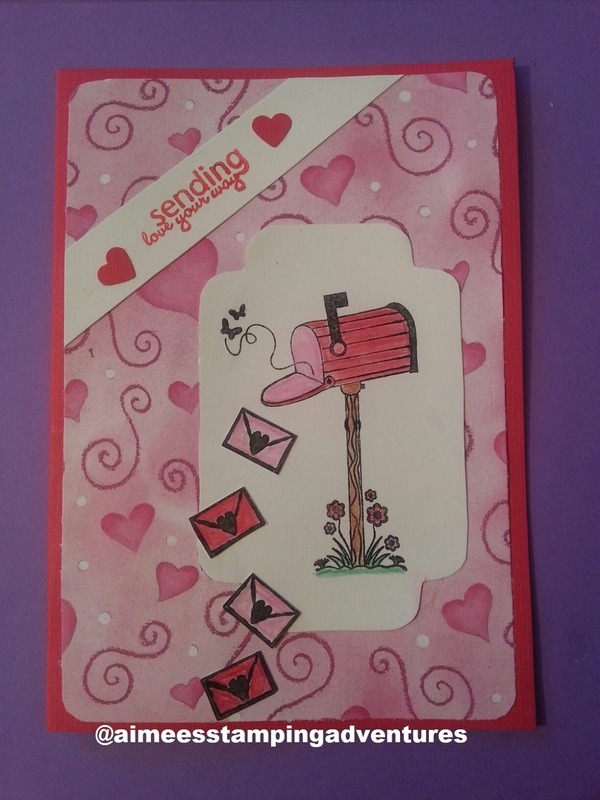 I also used pink ribbon with hearts to add a little more color to card. The above photo shows three cards I created. The top one is a card I made for a girl who was requesting cards due to the fact she was ill and did not have long to live. Heard about it through a friend and wanted to help. The card on the left I made for my daughter Bridget who lives in Georgia. The final card was made for my beautiful Mom for Mothers Day. I thought since the caption on the card read "A mothers heart is a patchwork of love" I would use two different sized square punches and layer them to look like a quilt. I used pop up dots on the "Mom figure". 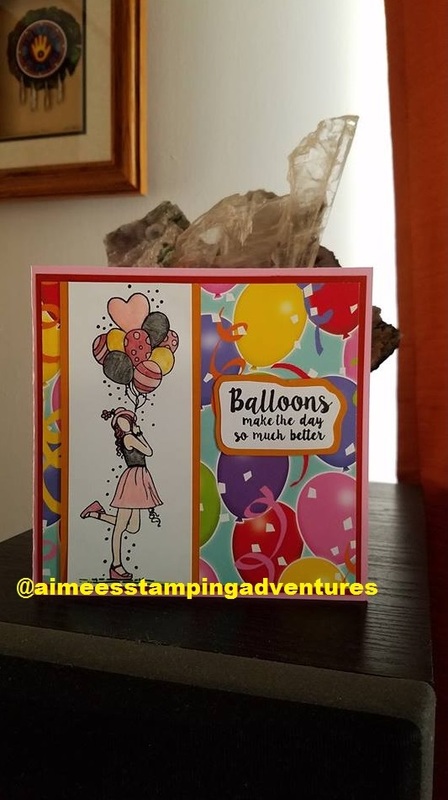 Made the above card for a girl who requested cards for her birthday. 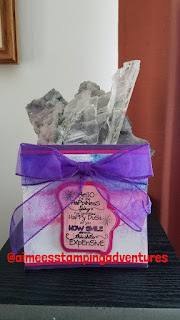 I wanted her to feel special and beautiful on her special day. (Smiling) You have to have humor and I love stamps that have it!. I used a background stamp for the main part of the card and stamped center while using pop up dots to stand out. Made this for my boyfriend and he thought it was funny. with using the stamp above. Love how it turned out. The challenge the above card was made for was using a wooden item. All I had at the time was a butterfly so I used it. 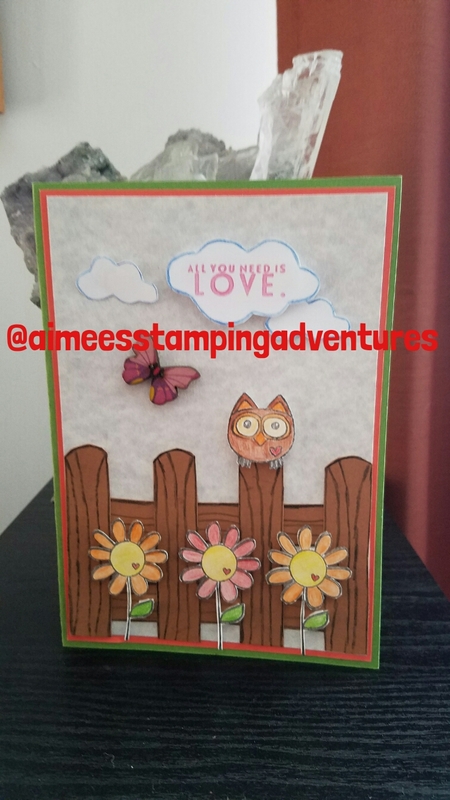 I hand cut out the fence pieces and drew the lines on for the wood look and assembled on the card. I placed the owl on top of one post. I also stamped three flowers and used pop up dots on to make stand out. 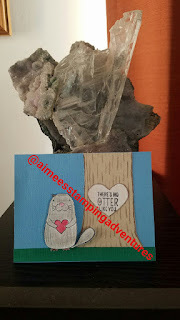 I stamped the sentiment that came with the owl onto a cloud. 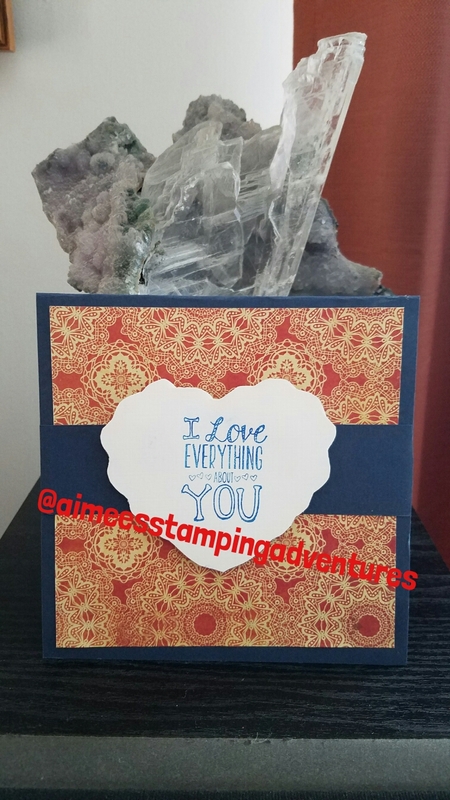 The above card I created from watching someone do a "quick card". 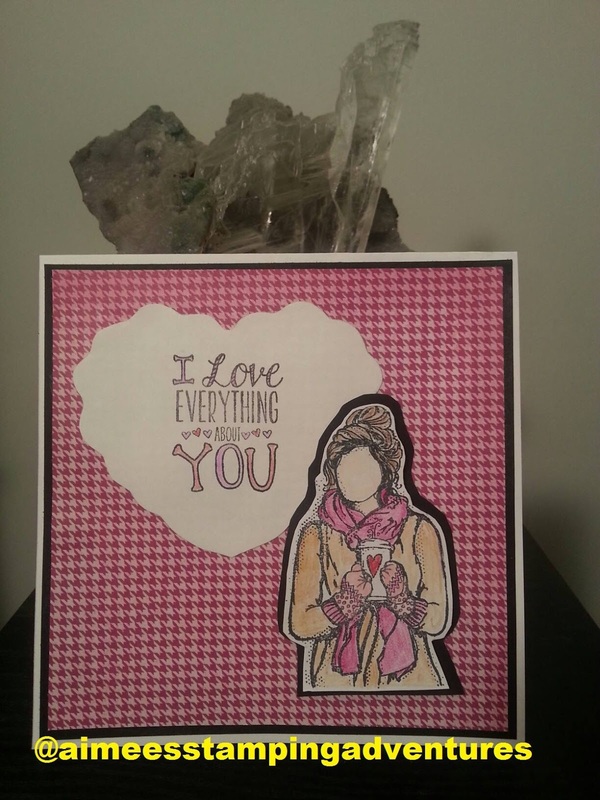 It was using one stamp image in three different colors and layering it with a sentiment. I used what I had. Fun and fast creation. I made the above Owl card for a Sketch Challenge. 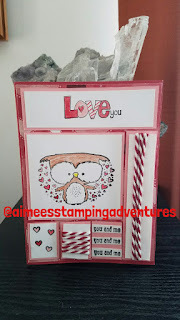 The Love You, Owl and you and me were all from one kit I had. The hearts came from another one. I love the fact that you can take stamps from one set and combine with another and create a one of a kind card. "You are my person" and has a heart. 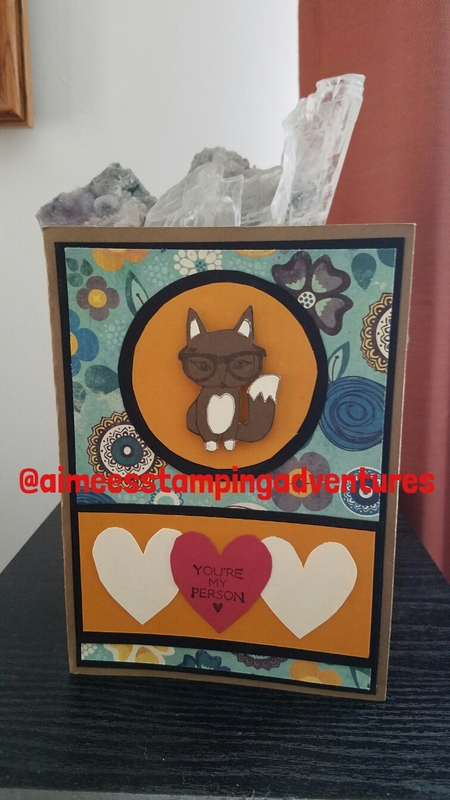 The fox was paper pieced and I used pop up dots on him to make him have some dimension. The above card was from a video I saw posted. The video was showing using one stamp across the front and use one ink to make uniform. While it was a fast card to create its one of my favorites. 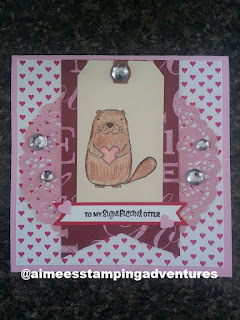 Used Kraft Paper to make the above stamped card. Also used pop up dots on both the flowers and the sentiment. Fun card. 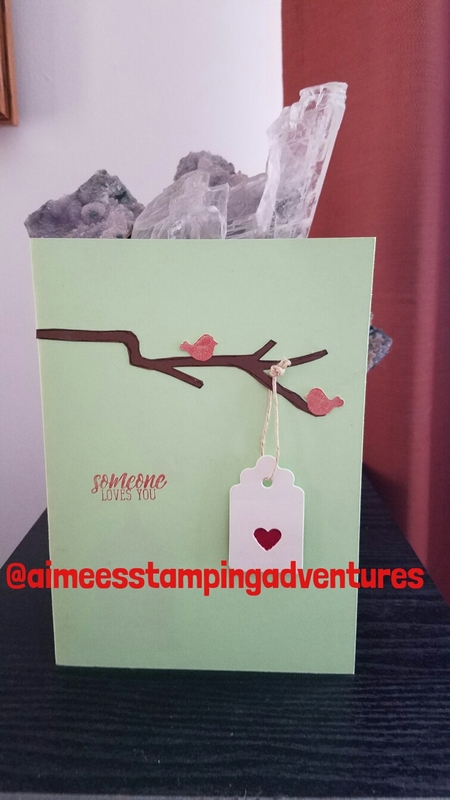 Layered Kraft paper and red for the main part of the card. 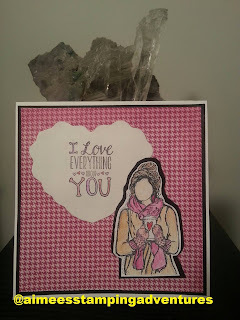 Stamped image off center and used some bakers twine to bring out the color red. This was an 8 x 10 canvas I made for my Mom for Mothers Day 2016. 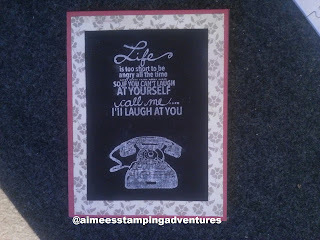 I painted stripes onto it and then in between places ivory lace with pearls on it in the blank spaces. 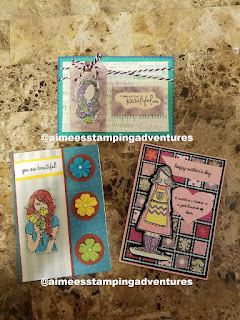 sealed everything afterwards with Mod Podge. 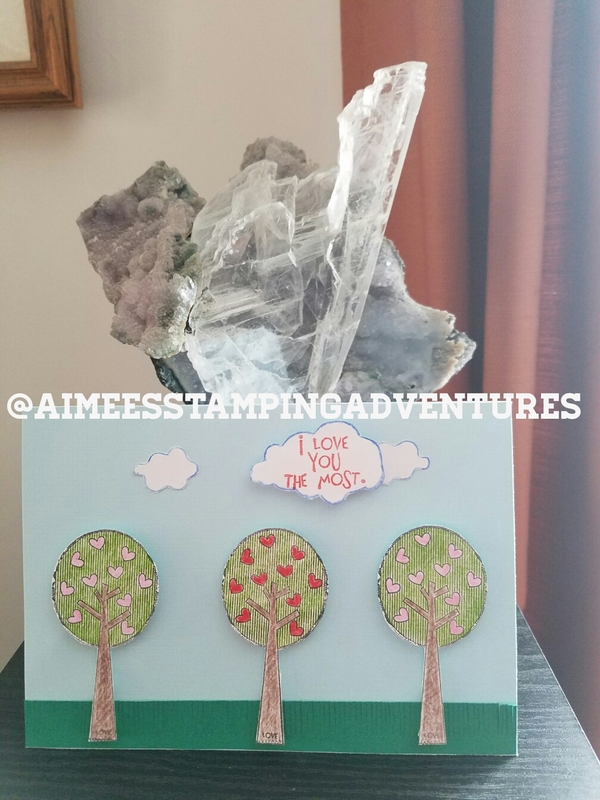 Made above card for my boyfriend. 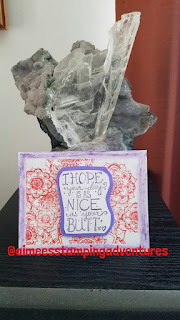 I put sentiment in the cloud I hand drew out. representing him and me loving him the most. Made above card for my daughters 21st birthday. Its an A2 card. 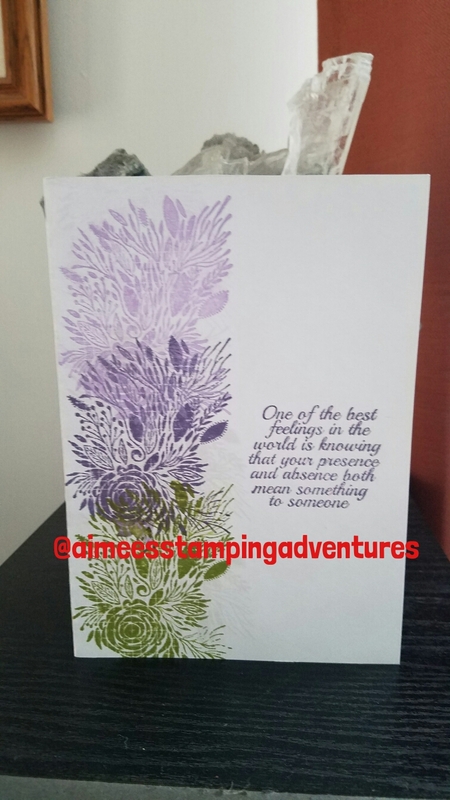 I used a small stamp and used it over and over for the background. 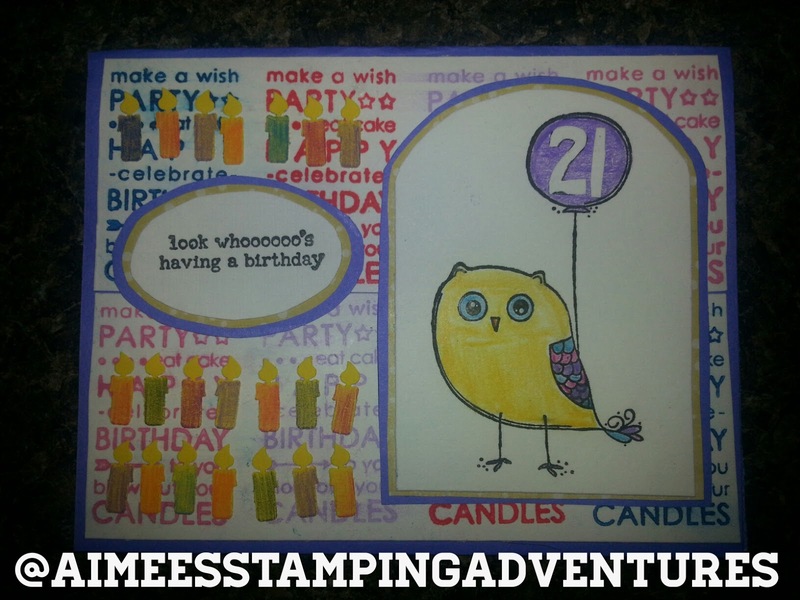 Hand drew and cut out the number "21" to put on the balloon. 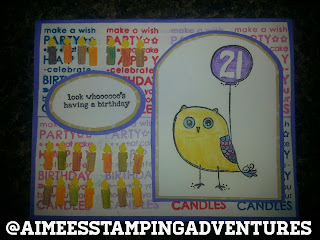 I also used a candle thumb punch I had and punched 21 candles out and attached. My boyfriend is a Geologist. When I found this stamp I smiled. I made him both a card and a bookmark. The hill with the city on it I used pop up dots on as well as some bakers twine above and below the sentiment "You rock my world". 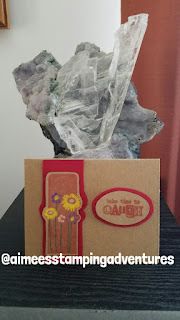 The bookmark used the same stamp and put sentiment above and below the hill and put clear contact paper on it for protection. My boyfriend loves to read. 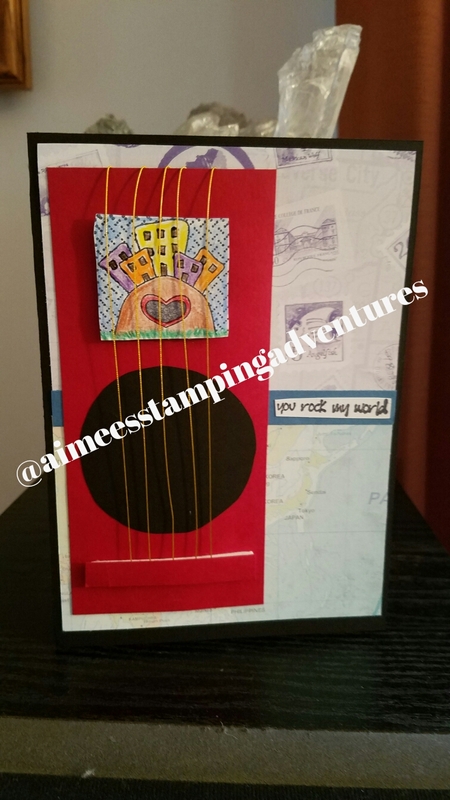 Decided to make part of a guitar neck for the caption "You Rock my world". The guitar strings I used jewelry making wire and attached. Used travel paper and map paper for the background of the card. 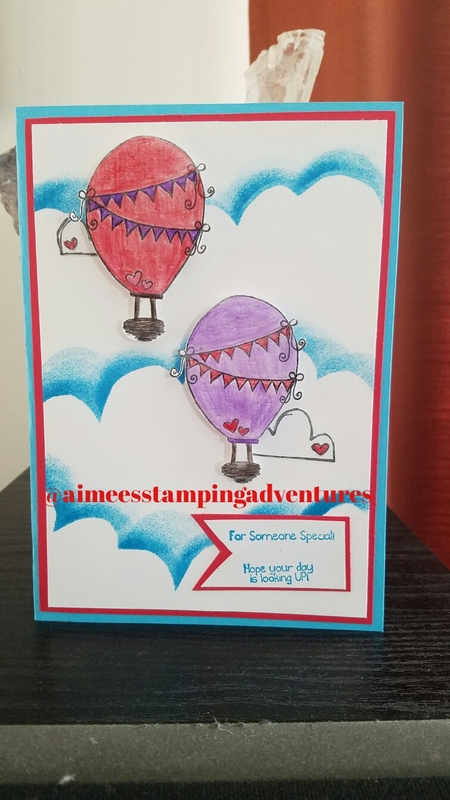 Cute and simple card. 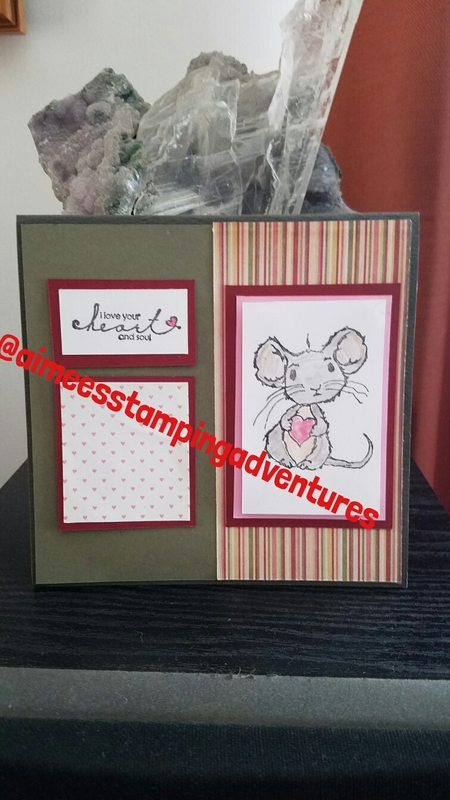 Layered colors on the above A2 card. 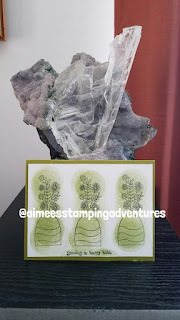 Hand cut out grass from scrap of green paper I had. 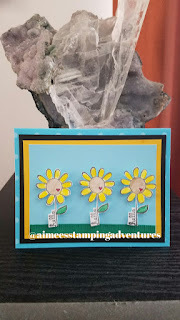 Stamped out three daisies and used pop up dots to raise them up. 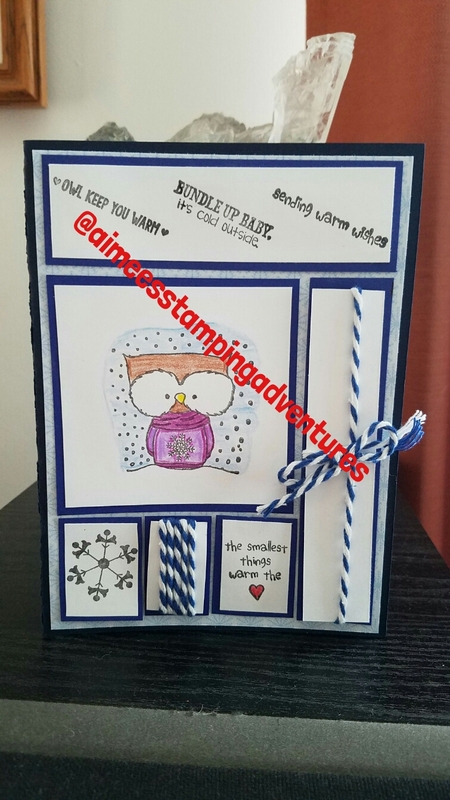 Loved making this card. I used a hand made cloud template I drew out and then cut out. Afterwards I took it and used distressed ink and a dabber to create the look of clouds with sky. On the balloons I used Glossy Accents - love Glossy Accents!. 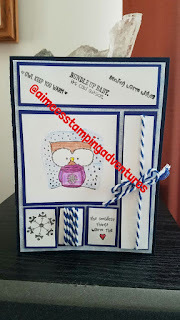 One stamp created this 6 x 6 square card. Loved the simplicity but still made boyfriend smile. Playing around one night I created this card. Used a small tag and punched a heart into it and placed red paper behind. Hand drew a branch out and cut out. Stamped out birds and sentiment. 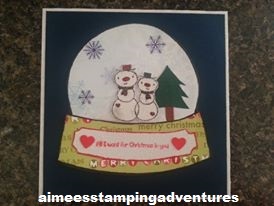 This is a 6 x 6 card I created. I was playing around with the background by using water and then simply taking an ink pad and running across for color to kinda of give a water color look. 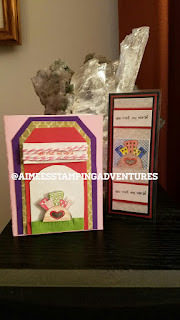 Put color behind sentiment and tied ribbon at top for finish. This has to be one of my favorites I made. I used Glossy accents on the glass globe of the cupcake. 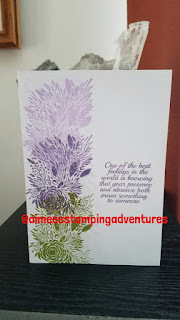 I also used distress ink around edged of paper by using paper from back of stamps as a template . This is an A2 card and was so much fun to make. 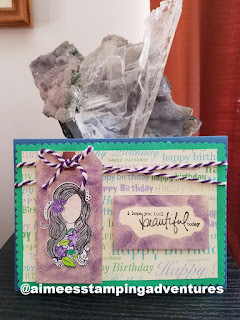 Another card for the sketch challenge that I entered. 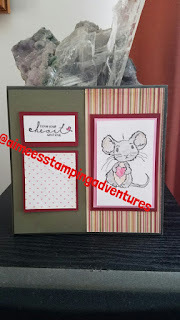 And last but certainly not least....my mouse card. My boyfriends nickname for me is "mouse" so when I saw this stamp I had to get. Love the colors I used. This was a 6 x 6 square card. 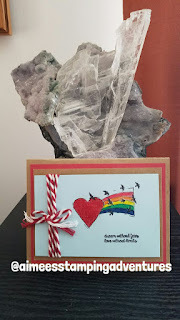 I hope you enjoyed looking at some of the cards I have created. Have a great day and happy stamping!!. 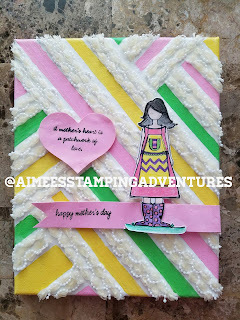 Your canvas to your Mom is still my favorite!